We have teamed up with Soul Sisters to create a special night out! Join us for an evening of DIY. Design and create your own diffuser bracelet. Each bracelet will feature lava rock that absorbs essential oil, then naturally diffuses it using your body heat. We will have a selection of semi-precious stones wood and accessories you can add to your bracelet to make it one of a kind! Once finished, there will be a variety of doTERRA essential oils available to try on your new bracelet. 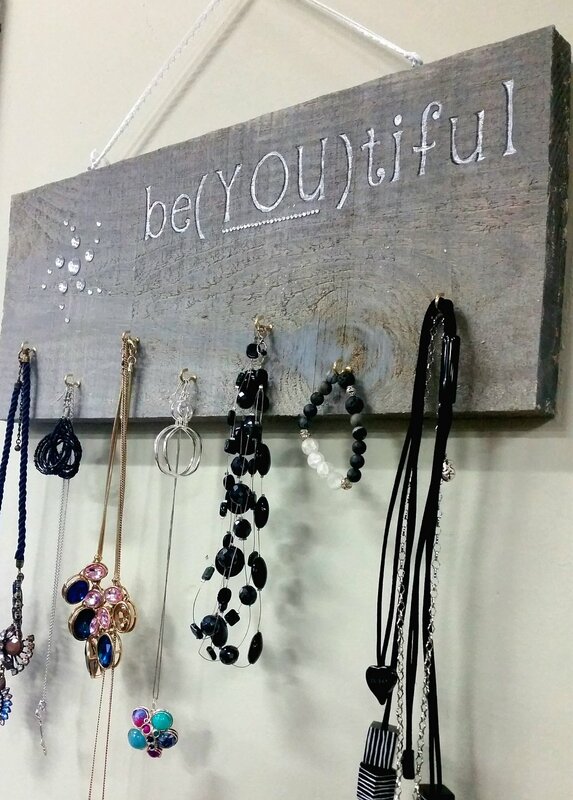 AND... create your very own jewellery hanger! Keep your jewels organized and decorate your wall all at the same time! The evening begins at 6:30 and lasts about two to two and a half hours. Make sure you come about 25 minutes early to settle in!